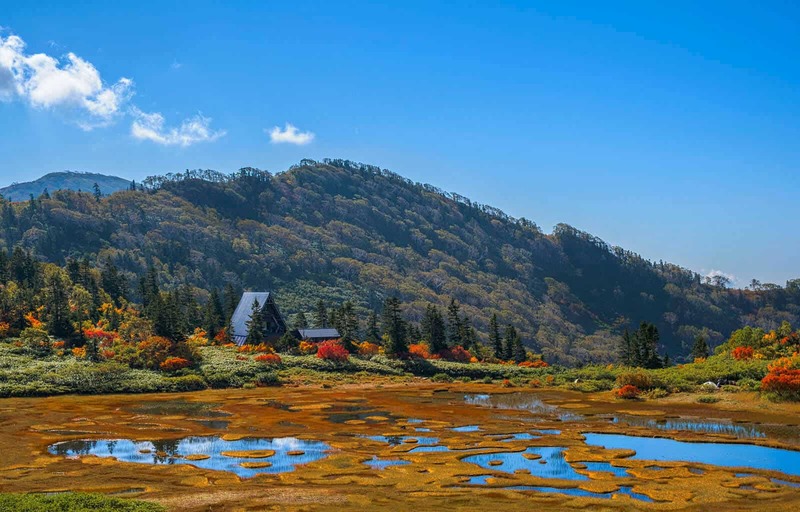 Mt Hiuchi is one of Japans 100 famous mountains and is situated in Myoko Togakushi Renzan National Park. 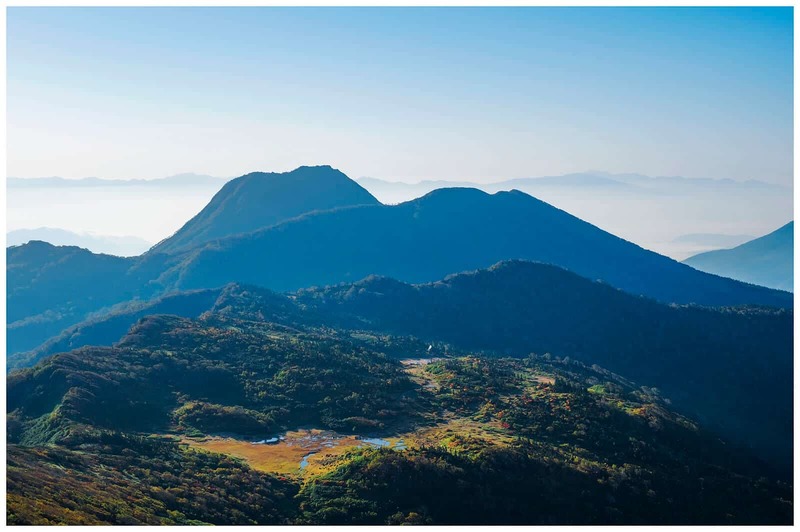 While the area may take its name from Mt Myoko which dominates the view from the village, Mt Hiuchi which is behind Mt Myoko is undeniably the more beautiful mountain to climb. 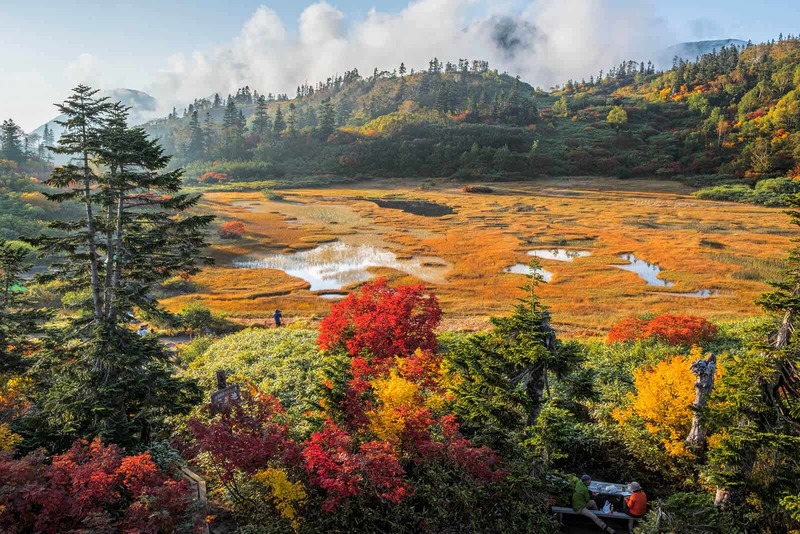 Mt Hiuchi is famous for the stunning flower gardens that appear during the summer months and for the stunning Autumn colours that are on display at the end of September and in to October. 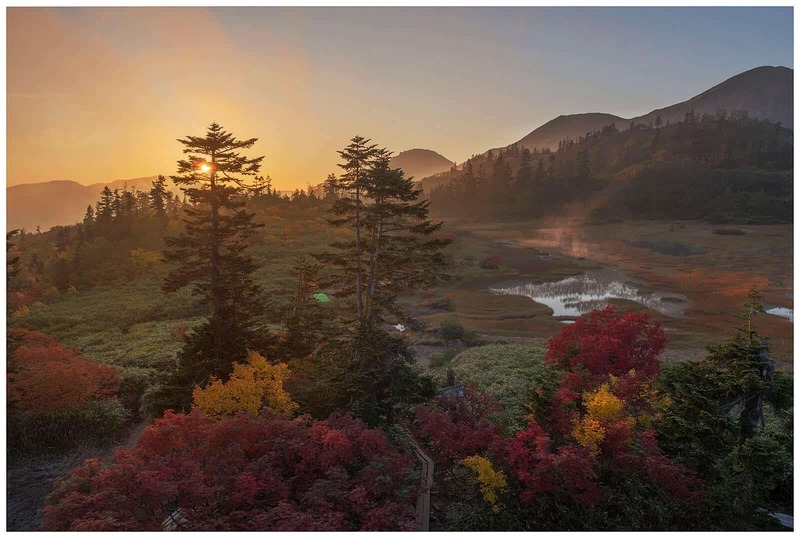 Near the summit of Mt Hiuchi is the famous Koya pond which was listed by CNN as one the top 25 most beautiful spots in the world. The best time to Climb is from July to November. If you climb earlier there will still be snow on the trail. 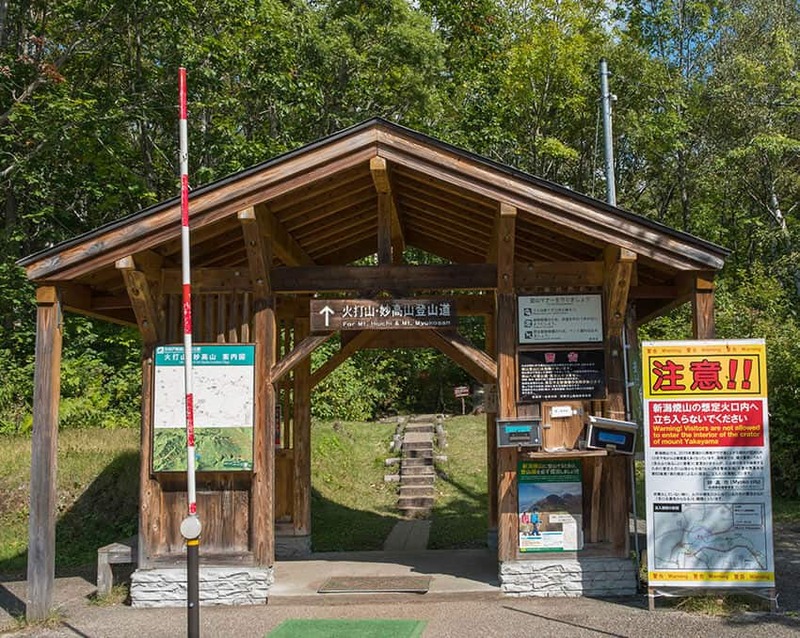 The start of the trail is at Sasagamine camp ground. To get there you can either drive as there is a large car park or take a local bus. For bus time please check the Sasagamine bus time table here. The trail start is clearly marked by a large wooden gate. The course all the way to the top is very straight forward and is very well maintained. There is only one-point ¾ of the way up where you must choose your path. At that point you choose the path that goes straight up and is marked by the kanji 火打山. This is the kanji for Mt Hiuchi so is worth remembering. The trail is about 9km to the summit. 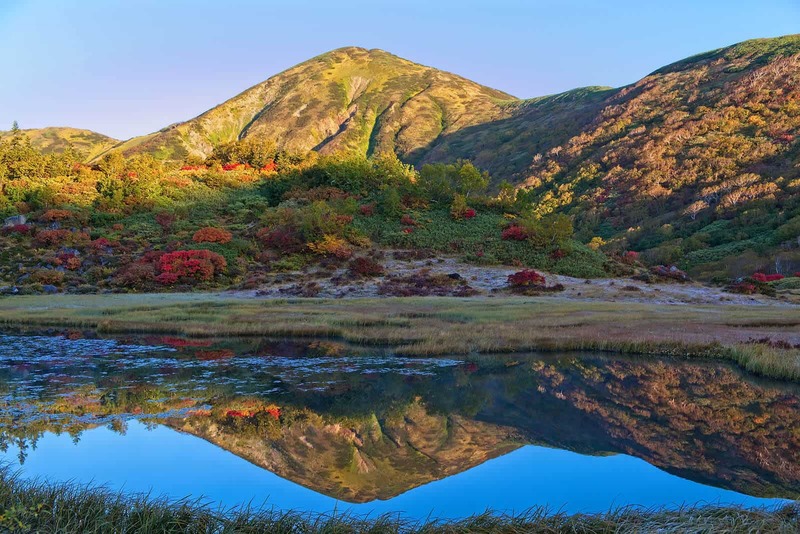 For climbers of average pace, you can expect to reach Koya pond in around 4-5 hours. Those who are faster could reach it in 3 hours. 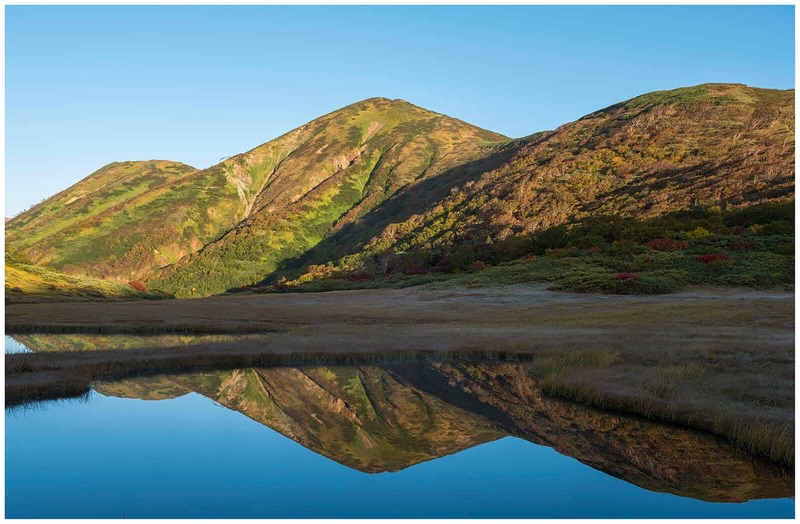 From Koya pond to the summit depending on pace it will take between 1.5 – 2.5 hours. If you are planning to climb and come down in the same day you want to start early to allow for enough daylight for your decent. 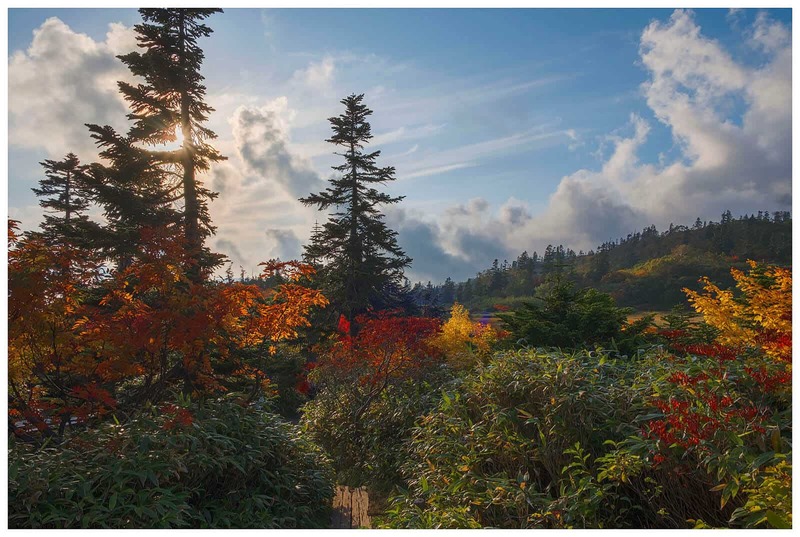 If you plan to camp at Koya pond or stay in the hut then you can be leisurely with you climb. The course is not as tough as Mt Myoko. It can be distinctly split into four parts. The beginning of the climb is quite gentle, then after you cross the river it becomes steep and more demanding. Then again it becomes gentler leading up to Koya pond. The assent to the summit is steep and demanding. 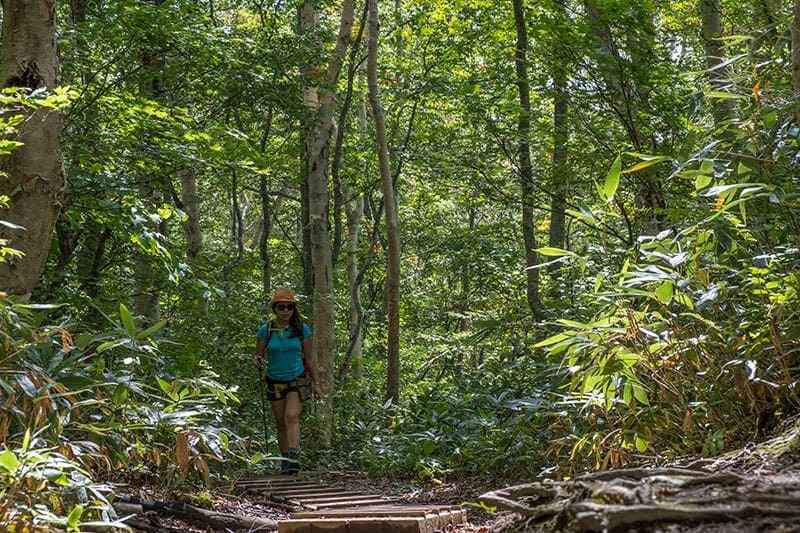 This breaking up of the trail and the climb through beautiful woodland makes Mt Hiuchi a joy to experience and climb. 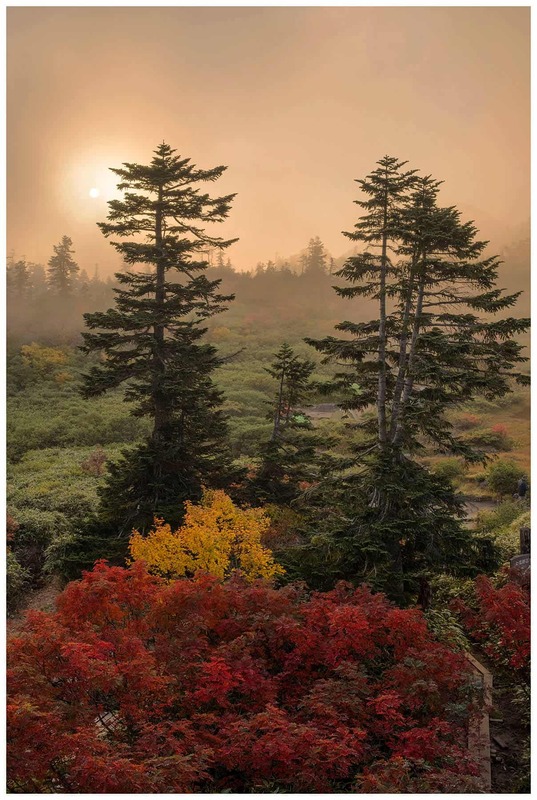 It is recommended to try to hit the summit before or around mid-day before clouds come in and potentially obscure some of the breath-taking view from the top. For those who are interested in camping or staying in the hut please use the contact form on this site for more information. During peak time the hut is fully booked out but there is usually space available to pitch a tent.